King Sargon of Akkad founded history’s first professional army. 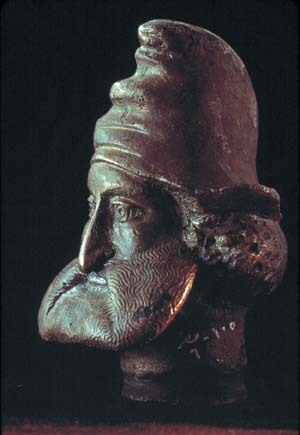 In about 2340 BC, the king of the ancient city of Kish, Ur-Zababa, was ousted from his throne by one of his courtiers who went by the name of Sargon. Kish was an extremely important city in ancient Mesopotamia. Tradition held that kingship descended there from heaven—after a great deluge had nearly destroyed mankind—and brought order to ancient Sumer and Akkad, an area that roughly occupied the southern region of modern Iraq. By usurping the throne of this respected city, Sargon must have known he would have hell to pay for his new kingship. But Sargon was to meet all challenges and go on to become the first great conqueror of the Western world by constructing the first professional army. Sargon was of lowly birth according to his own inscriptions. He did not know his father but his uncles “loved the hills,” meaning he may have been descended from enslaved hill tribesmen; his adoptive father was a fruit-picker. Sargon acquired a position at the king’s palace where he received his name, which means “The king is just,” and he rose to become the king’s cupbearer, a position of honor. From there, however, it is unlikely that he would have risen much further on merit alone. Ancient Mesopotamia was divided between the millennia-old culture of the Sumerians in the south and the newly developing Semites in the northern region of Akkad. Sargon was an Akkadian, or in Sumerian terms, a barbarian. But once in power, he was to change the face of Sumerian, and Western, history forever. As Sargon rose to power he brought the Semites into prominence. Before his reign, administrative posts were held by Sumerians alone and the Sumerian tongue was the official language. Sargon began appointing only Semites to important positions in the government, even in Sumer proper. However, Sumerian remained the language of the temples—a dominant institution in both Sumerian and Semitic life. In keeping with his new policy Sargon founded a new capital at Agade on the Euphrates River. There he built temples to his tutelary goddess Ishtar, whom he claimed befriended him and put him in power after she granted him “her love,” and to the warrior god of Kish, Zababa, because war was an intrinsic part of Mesopotamian life. But before Sargon could begin his new policies he had to establish himself as a legitimate ruler, for the gods would not favor an illegitimate king. To do so, he had to defend and retain his acquired throne. Sargon was attacked soon after by the most powerful king in all of Sumer, Lugal-Zaggesi of Uruk, who had united through conquest and intimidation most of Sumer’s city-states into a quasi-feudal empire. Amazingly Sargon defeated this coalition and took Lugal-Zaggesi prisoner along with 50 of his regimental commanders, prominent citizens of various cities which Lugal-Zaggesi ruled. Sargon tells us, “Lugal-Zaggesi, king of Uruk, he [Sargon] captured in battle and brought by a halter to the gate of Enlil.” Thus the once ruler of Sumer was placed in chains and exposed to public ridicule before meeting his death. So in one stroke Sargon defeated the army sent against him and took a good portion of Sumer’s leaders captive. He had been greatly underestimated, and once he had gained this impetus he did not stop until he brought all of Sumer under his control. An ancient chronicle recorded that after his victory over Lugal-Zaggesi, Sargon marched against Ur and was victorious, then repeated the feat at Lagash. After conquering the territory from Lagash to the Lower Sea (Persian Gulf), Sargon performed a gesture that was to develop into a ritual for later conquerors: He washed his weapons in the sea, thus marking it as the boundary of his realm. From the Persian Gulf, Sargon marched north, capturing the city of Umma, the last hold-out of his enemies. Ancient Mesopotamia had known conquerors before Sargon—like Lugal-Zaggesi—but their conquests had never extended far beyond Sumer and never lasted beyond their own reign. 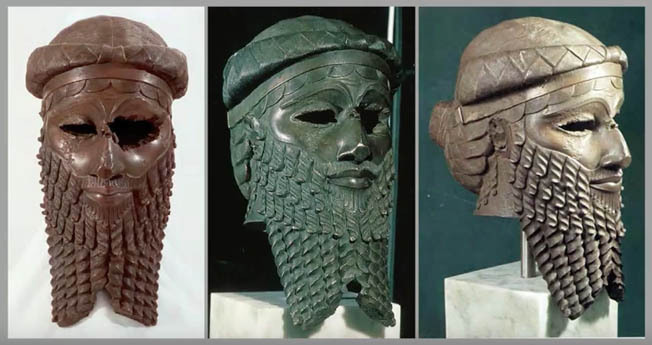 Sargon’s significance is that he established an empire extending well beyond the land between the rivers, an empire that lasted almost two centuries. Sargon built his empire and maintained it with his professional army. Before Sargon’s reign, the typical Sumerian city-state army was composed of militia-type troops. There was no regular, paid army because every able-bodied adult male was a potential soldier and liable to be called to arms. There was a palace guard to keep the internal peace of a city, which was available for sudden emergencies, but these professional troops would have numbered less than a thousand at most, too few to constitute an army. The palace troops were distinct from the levee en masse that was raised for extreme situations. In such times an estimated 20 percent of the population could serve, so an average population of 35,000 for a Sumerian city would have a militia army of about seven thousand. But if troops were pulled off for garrisoning of important positions as well as for supply transportation, not to mention desertion, the number is significantly less, perhaps five thousand troops for battle among which approximately 20 percent were professionals. This type of army served well when fighting a similar force, so one Sumerian city could never dominate its neighbors for very long. It was common for several cities to form a coalition to gain strategic and numerical advantages over their enemies. Thus to successfully conquer and rule, Sargon required a standing army of professional soldiers and the organization of the whole people on a war footing. In the ancient Mesopotamian economy the temple and palace generated and directed much of the wealth in any given city. Each temple and palace complex would have its own workers and slaves, as well as indirect connections to myriad individuals of the city. Before Sargon, the temple probably took precedence over the palace. But it is likely that Sargon infringed upon the prerogatives and privileges of the temples to contribute workers and resources for his new army. In theory this new army would directly improve the regional economy by maintaining a peace that prevailed through all the cities under Sargon’s sway. The ancient Mesopotamian army before Sargon was of two general and distinct parts, infantry and chariots. The infantry fought in a phalanx or line and was organized into regiments based on a clan or territory. Each infantryman wore a conical, copper helmet with cheek pieces and chin strap, a kilt of leather strips and a long, thick cloak that was discarded before battle. The common infantry weapon was a short-handled spear with a copper head, and there is evidence to suggest the use of a shield to some extent. The elite forces of the army would have been those of the chariots, each of which was drawn by four donkeys (the horse not entering Mesopotamian history until around 1200 BC). The chariot was low hung on four solid, leather-enclosed wooden wheels attached to fixed axles. The body of the cart was a square wooden frame covered in leather with a lowered step in back and a raised, shielded area in front. The chariot pole was attached to a broad wooden collar and head stalls for the asses, because the bit was as yet unknown. In each chariot there was a driver and a fighting man. The weapons of the latter were light throwing spears carried in a quiver attached near the front of the cart in sets of four, of which two were fitted with pronged butts for use with a throwing thong for greater range, and two for close fighting. Thus we can imagine these chariots bouncing forward into battle with first a hail of missiles to weaken the foe before they made contact, then lumbering in among the enemy with another two volleys. Skirmishers were variously armed and must have been recruited from among the less civilized elements of the cultivated areas of Sumer. They probably fought for booty alone. Sargon made improvements to this existing military system. He had the Akkadian army employ a phalanx six men deep, armed with pikes and axes, with the front rank carrying large, rectangular shields. He had the infantry trained to fight in a looser formation in rough or broken terrain. And he had the chariots relegated to transport only. The Akkadian army employed an old weapon, the bow and arrow, in a new way by forming large bodies of archers. In fact, one scholar said that the Akkadian “bow and arrow overcame the Sumerian lance and shield.” Thus large, well-trained bodies of archers were able to nullify the chariots’ potential with a rain of missiles that killed both men and animals and could further cause greater damage to massed, semi-trained infantry whose morale would have begun to deteriorate as casualties mounted. The Akkadian army was professional—highly trained and organized—with no use for the untrained, poorly armed skirmishers. Finally, southern Mesopotamia was a land crisscrossed by canals and rivers where boats were the only way to effectively move an army. Thus Sargon must have had marine units or some type of naval transports. Some of the changes in the infantry and chariot tactics may have been in the works before Sargon came into power, but he infused the professionalism that gave these troops their edge, and the archer units were definitely an Akkadian development. Sargon had an extremely large personal guard for he wrote that “5,400 men eat bread daily before him [Sargon],” and these may have served as the core troops he needed for developing the larger army when he expanded beyond traditional Mesopotamia. Sargon’s successor, Rimush, recorded that in a battle with Ur and Umma he killed 8,040 of the enemy and captured 5,460. Allowance must be made for exaggeration. Nonetheless other figures are similar in the Sargon era: “3,600 killed,” “20 heaps of men killed and buried,” “12,650 dead and 5,864 prisoner.” On the smaller side we hear of six hundred Elamites killed in a raid against Lagash, indicating that all was not exaggeration. In all probability those taken prisoner would have been ransomed by their various cities. After securing Mesopotamia, Sargon campaigned beyond the natural confines of the Tigris-Euphrates river valley. He struck southeast across the Zagros mountains into the Elamite territory of modern Iran, where he met with strong resistance. Sargon eventually defeated them and rulers of Elam and Barahshe became his vassals. From the east, Sargon moved on to campaign in the northwest up the Euphrates River and onward into the territory of Ebla on the Mediterranean where he secured the wood supply of the important cedars of Lebanon. 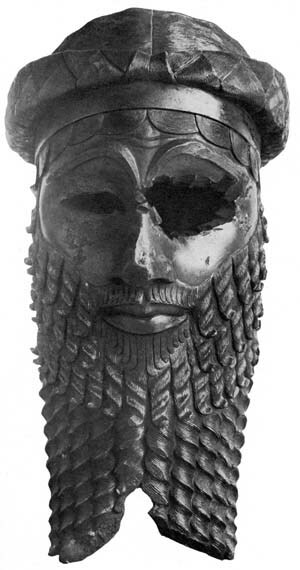 In both the eastern and western campaigns Sargon recorded the capture and sacking of several cities. It is unlikely that these were lightning campaigns but must have taken years. The reason for Sargon’s far-flung expeditions was not aggrandizement as much as economics. He was attempting to secure the trade routes that passed through Akkad, linking such distant places as Egypt and India, and make them secure for the caravans that provided for the material needs of his realm, mainly wood and minerals. Along these routes Sargon held the central position—potentially the most profitable but also the most dangerous because his core kingdom was surrounded. It was Sargon’s wide-ranging conquests and his inherently threatened position that no doubt caused him to continuously expand his army. The Sumerians would never willingly submit to the rule of a barbarian, although he had learned the Sumerians’ theories of politics he taught them were practical aspects of undivided power. Sargon spent the last years of his life faced with a massive Sumerian rebellion. The old lion still had teeth in him, however, and he sallied forth to route the rebels and conduct a campaign very similar to the one that first made him master of Sumer. In any event, Sargon died with his empire intact. He was succeeded by his blood-thirsty son, Rimush, who perhaps caused the Sumerians to look back upon Sargon as a benefactor who respected Sumer and its ancient culture. The Sargonic empire had five rulers before it fell into anarchy and succumbed to internal rebellion coupled with invasion from tribes of the Zagros. Despite its autocratic character, the dynasty united Mesopotamia and the peripheral regions into a single economical unit. To reconstruct this unity became the dream of almost every subsequent monarch from the middle of the third millennium BC until the fall of Babylon to the Medes under Cyrus the Great in 539 BC. The name of Sargon became crowned by a halo of myths and legends repeated throughout Western culture. One often-ignored example is the story that as a baby Sargon was set adrift on the Euphrates in a basket of reeds. This, of course, was a thousand years before the time of Moses. In other respects, too, the legends of Sargon and Moses are strikingly similar. The name of Sargon became synonymous with greatness and military might to such an extent that the heir of the great Assyrian king, Tiglathpileser III (c. 744-727 bc) was named Sargon, in the same manner that successors to the Roman Julius Caesar took his name that they might shine the brighter before the populace. Sargon of Akkad is the earliest conqueror for whom there is enough information to construct a reasonable life portrait. Tags Chariot, Euphrates River, Iraq, Julius Caesar, king saragon, Persian Gulf, professional army, professional soldiers, Sargon of Akkad, Syria.